I don’t know what suddenly drew me to Ender’s Game. I had been aware of it for some time, and I think when looking into books I might possibly want to read, it stuck out to me for some reason. I think this was around the same time I was kicking around a story idea I had that is slightly reminiscent of the movie Tron: Legacy, and I was wondering how Ender’s Game compared. Well, it turned out that it’s pretty different. Ender is only six years old when he is picked up to attend Battle School, and he quickly moves up the ranks in the school, commanding his own army by the age of 9. From conversations we see at the beginning of each chapter, those in charge of Ender are determined that he is the only one who can annihilate the “buggers” (the aliens who have fought them in two wars now), which is why they accelerate him through the ranks. They do this, however, by isolating him, breaking him, and lying to him. I knew this book was about children, so I was very surprised by how dark and gritty the story actually was. There’s also some language in here; it probably wouldn’t bother most people, but I wouldn’t call it kid-friendly. As a story of science fiction, however, this story was very profound. Everyone in charge of the Battle School is xenophobic, they are willing to push a child to limits that would be difficult for an adult, and the child himself is capable of producing great damage that he tries to deny for quite some time. As all good science fiction does, I think the story does a great job of mirroring how we as people are, regardless of the time and setting of the story. I did have a few small issues with the story. The pacing sometimes seemed strange while reading because the story covers such a long period of time, though once you’ve read the whole story you can understand why certain parts emphasized on and why certain parts were abbreviated. And though I understand why all the emphasis was on Ender, I would have liked to have seen more development of some of the minor characters, particularly Alai, Bean, and Petra. I also still have mixed feelings about the end of the story. I think I would have liked it better if the book had ended right after *SPOILER* Ender found the bugger queen’s cocoon *END SPOILER* instead of dragging things out a little bit longer to the years beyond. I am curious is Card was trying to wrap things up because he was unsure if he was writing more books, yet still leaving some mystery so that he could write more. There is also a small subplot in which Ender’s brother Peter recruits their sister Valentine to help him try to infiltrate the Nets with the way people think. It’s both difficult and easy to believe at the same time, like a few other things in the story, but the part that bothers me most is how much credibility Peter still has once the war is over. I would recommend this book for teens and adults. I think, like all good science fiction, it forces us to take a look at ourselves and what we are capable of and what we are willing to do. And it shows how what we do affects us; we see both Ender and Graff were affected greatly, but in different ways. I might read the sequels, but I don’t feel like I necessarily have to. I’m also interested in seeing the movie adaptation coming out this year and how it will compare to the book. As he [Ender] thought of it, though, he could not imagine what “just living” might actually be. He had never done it in his life. But he wanted to do it anyway. If you’ve read Ender’s Game, what are your thoughts? What do you hope they will include in the movie? If you’re read the sequels, would you recommend them? I agree with you about the ending. The wrap-up part of it felt funny and kinda tacked-on or something to me (all those years ago). I wonder if it might be for the reason you suspect. It’s only recently that I discovered there are several more books in this series. If I’m not mistaken, this was actually his first novel. I enjoyed the story, but have felt like his execution was poor in some ways. As you mentioned, the end falls under this heading. To me it always felt like the end of a movie that had been shot after major budget cuts and advances in the time table. I’ve pretty much always just chalked it up to it being his first real attempt at writing and that he hadn’t grown yet as an author. That said, as interesting as Ender’s Game was, I haven’t felt compelled to read any of the rest of the series to find out if my theory holds up. I certainly agree, though, that sometimes it’s hard to suspend disbelief with the children. I think it has less to do with the intelligence they exhibited and more to do with the mode. I had trouble accepting the perspective and thought processes as that of children. I will be very interested to see it on the screen, however. I do agree that the children (especially the Wiggin children) did seem too “grown up,” not so much with their intelligence level (which I could accept) as much as how they thought things through. If this is indeed Card’s first novel though, it’s a strong debut, considering there are more experienced authors who have just as many problems with their later novels. Great write-up. I fully agree with this review: I read the novel a few months ago and I absolutely loved it. I’m glad that the movie is using the name “formic” for the aliens, though; I always thought that “bugger” sounded silly. It’s worth noting that Card actually wrote Speaker For The Dead first. The ending of Ender’s Game was deliberately written so as to provide set-up for the sequel; for that matter, I’m pretty sure that Card wrote Ender’s Game as a whole largely for this reason. I agree, buggers does sound a little silly. That’s interesting that he wrote Speaker for the Dead first. Have you read it? What did you think of it? Can’t say I have. It’s certainly on my reading list, though. I have read Speaker of the Dead and the two other books in the series, Xenocide and Children of the Mind. They were all very different from Ender’s Game and actually sit as a 3 novel trilogy on their own. I did think they were very good and enjoyed them despite their differences. If you want another great Ender’s Game story though, the book to read is the parallel novel Ender’s Shadow which follows Bean through the same story and is very very good. There are 3 sequels to that book as well that again are very different and good on their own, but feel disjointed from the original. 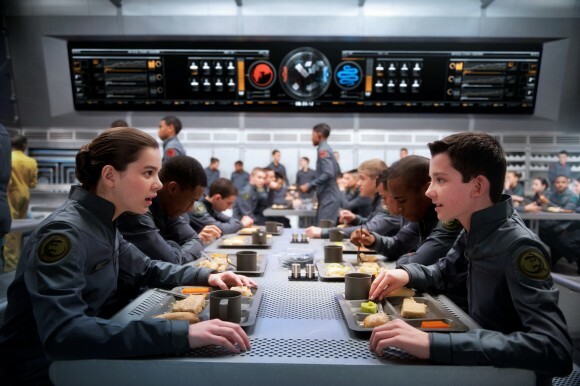 (If you are on Google+ feel fre to join my Ender’s Game community if you like. Books and Movie are discussed there. Link in my signature here. Over the weekend I was talking to a friend of mine and he said I should at least read Ender’s Shadow, and that it would help fill in some of the gaps I felt in Ender’s Game. Thanks for the thoughts! I agree. 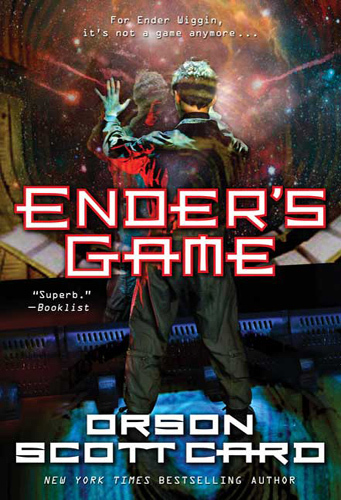 Ender’s Shadow is a similar style story to Ender’s Game and those that read all the books almost unanimously prefer Ender’s Shadow over the others. Plus Bean is pretty awesome!